At a small gallery in Florence, a Peruvian writer happens upon a photograph of a tribal storyteller deep in the jungles of the Amazon. He is overcome with the eerie sense that he knows this man...that the storyteller is not an Indian at all but an old school friend, Saul Zuratas. As recollections of Zuratas flow through his mind, the writer begins to imagine Zuratas's transformation from a modern to a central member of the unacculturated Machiguenga tribe. 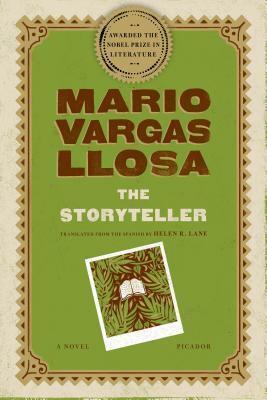 Weaving the mysteries of identity, storytelling, and truth, Vargas Llosa has created a spellbinding tale of one man's journey from the modern world to our origins, abandoning one in order to find meaning in both.